Derek Ladgenski concentrates his practice in all aspects of leveraged finance. As a leader in his field, Derek is a frequent presenter to industry conferences and clients regarding the latest developments in leveraged finance. He has been named to The M&A Advisor's "40 Under 40" list of emerging business leaders in the M&A financing field, has been named to the finance category of The Legal 500, where he was "recommended for his ability to 'focus on the material aspects of each transaction,'" and has been ranked in Chambers USA. Derek primarily counsels lead arrangers, administrative agents and lenders on cash flow acquisition and recapitalization financings, "take private" transactions and debt financings to national and international franchisors, franchisees and restaurant concepts. His practice spans a wide variety of deal sizes and types, from sole lender financings of smaller franchisees and young restaurant concepts to large-market, broadly syndicated and unitranche credit facilities of more than $1 billion for equity sponsor portfolio acquisitions and refinancings. Derek also is a member of the board of directors and executive committee for Easterseals DuPage & Fox Valley and is a member of the Primary Market Committee for the Loan Syndications and Trading Association (LSTA). 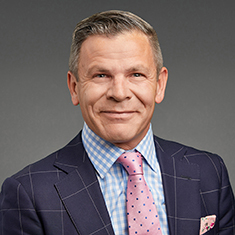 Derek has worked locally with Pro Bono Advocates and the Community Economic Development Project and assisted in the drafting and proposed implementation of a new commercial law system for post-war Afghanistan through the American Bar Association. Derek is a member of the firm's Board of Directors. Shown below is a selection of Derek’s engagements. Representation of the administrative agent, sole bookrunner and joint lead arranger of a $605.0 million senior secured credit facility to support the merger of a Canada-based pet supply retailer with a similar, US-based retailer to create a system of more than 930 store locations. Proceeds of the facility were used to consummate the acquisition, refinance existing debt, and provide ongoing working capital and funds for future acquisitions. Representation of the administrative agent, joint bookrunners and lenders in connection with a $432.0 million senior secured credit facility to facilitate the leveraged buyout of a national and international sportswear manufacturer. Proceeds of the facility were used to consummate the acquisition, refinance existing debt, and provide ongoing working capital and funds for future acquisitions. Representation of the administrative agent, joint bookrunners and lenders in connection with a $345.0 million senior secured credit facility to facilitate the leveraged buyout of a national spring and fastener manufacturer comprised of more than 13 divisions. Proceeds of the facility were used to consummate the acquisition, refinance existing debt, and provide ongoing working capital and funds for future acquisitions. Representation of the administrative agent, joint bookrunners and lenders in connection with a $225.0 million senior secured credit facility to facilitate the leveraged buyout of an end-to-end records and information management lifecycle services company serving more than 10,000 clients across various industries. Proceeds of the facility were used to consummate the acquisition, refinance existing debt and provide ongoing working capital and funds for future acquisitions. Representation of the joint lead arranger, joint bookrunner, syndication agent and lender in connection with a $225.0 million senior secured credit facility to facilitate the leveraged buyout of a foreign-based, NASDAQ-listed designer and provider of client/server products for electronic payments. Proceeds of the facility were used to consummate the acquisition, refinance existing debt, and provide ongoing working capital and funds for future acquisitions. Also included the representation of the administrative agent, joint lead arranger, joint bookrunner and lender in the refinanced credit facility, which facilitated the acquisition of a domestic developer and provider of money transfer and payments technology solutions. Representation of the administrative agent, joint bookrunners and lenders in connection with a $185.0 million senior secured credit facility to facilitate the leveraged buyout of a national and international franchisor of several different concepts in the automobile aftermarkets. Proceeds of the facility were used to consummate the acquisition, refinance existing debt, and provide ongoing working capital and funds for future acquisitions. Representation of the joint bookrunners, administrative agent and lenders in connection with a $172.0 million "one-stop" senior secured credit facility to facilitate the leveraged buyout of the leading provider of therapeutic massages in the United States, which is a national franchise with more than 1.25 million members spread across 800 locations in 45 states. Proceeds of the facility were used to consummate the acquisition, refinance existing debt and provide ongoing working capital. Representation of the issuing lender, documentation agent and certain senior lenders in connection with a $145.0 million senior secured credit facility to facilitate the leveraged buyout of a nationally and internationally known restaurant chain with more than 460 locations. Also included the representation of the administrative agent, lead arranger, bookrunner and lenders in connection with a subsequent refinancing of such facility with the proceeds of high-yield debt. Representation of the administrative agent, lead arranger, bookrunner and lenders in connection with a $108.4 million senior secured credit facility to facilitate a minority investment in, and a dividend recapitalization to private equity owners of, a global fitness concept with more than 2,400 gyms serving 2 million members on five continents. Proceeds of the facility were used to finance the investment and dividend, refinance existing debt, and provide ongoing working capital and funds for future expansion. Representation of the administrative agent, lead arranger, bookrunner and lenders in connection with a $98.0 million senior secured credit facility to facilitate a dividend recapitalization to private equity owners of a multi-state restaurant concept with more than 1,250 franchised locations. Proceeds of the facility were used to finance the dividend, refinance existing debt, and provide ongoing working capital and funds for future expansion. Representation of the lead arranger, administrative agent, joint bookrunners and lenders in connection with a senior secured credit facility to facilitate the "going-private" leveraged buyout of a NASDAQ-listed developer and marketer of accessory lifestyle brands and products. Proceeds of the facility were used to consummate the transaction, refinance existing debt and provide ongoing working capital and funds for future acquisitions. Representation of the administrative agent, lead arranger, bookrunner and lenders in connection with a senior secured credit facility to facilitate the leveraged buyout of a privately owned, multi-state restaurant chain with more than 30 locations. Proceeds of the facility were used to consummate the acquisition, refinance existing debt, and provide ongoing working capital and funds for future expansion. Partner Derek Ladgenski Selected for The M&A Advisor's "40 Under 40"